Grandma used to eat eggplant parmagiana often. It was her favorite dish to order when she went out to dinner. We took grandma out to dinner at one of our favorite restaurants: Manduccati's. 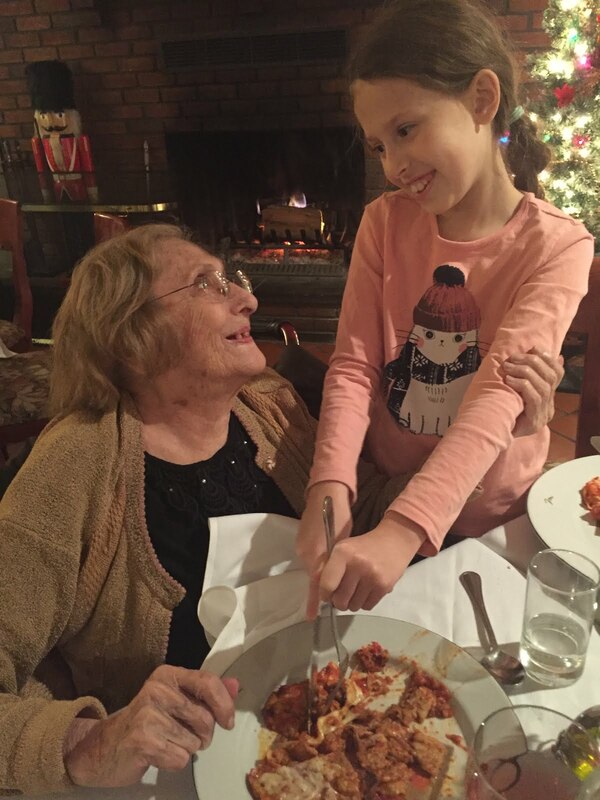 We ordered eggplant parmagiana for grandma and she was so happy. She immediately started telling us stories about how she loves it, but could never make it at home. She had such a good time. Food is a very good way to put people in wonderful moods. My cats are thrilled when we serve them a Fancy Feast treat, so you can imagine how a person may feel if they can eat what they love to eat! I know grandma loves being with ME, but having eggplant and ME at the same time, gave her so much joy! What is your loved one's favorite meal?